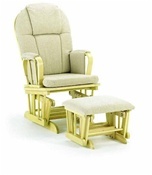 an Excellent addition to the Shermag Upholstered Glider. 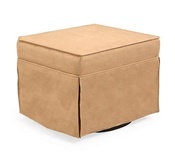 The Upholstered Ottoman, can be used in the Nursery and anywhere else in the Home. 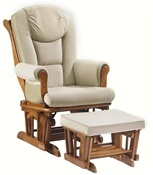 Our Adult sized Rocking Chair, is just like the One that Grandma Used. 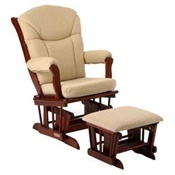 This Heirloom quality Rocking Chair is made of Solid Wood. 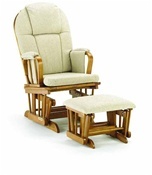 The Rocking Chair is Handcrafted used all Natural Wood. 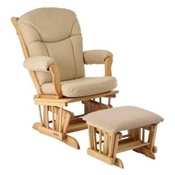 This top of the Line Giftmark Adult Rocking Chair can be used for Generations. Shermag 37794 - Sleigh Style Glider Chair and Ottoman Set in Harmony. 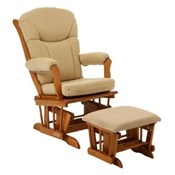 Shermag 37794 - Sleigh Style Glider Chair and Ottoman Set in Natural. 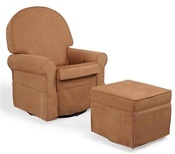 Shermag 37794 - Sleigh Style Glider Chair and Ottoman Set in Honey. is Designed for both in and out of the Nursery. 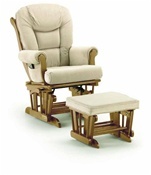 If you are looking for High Comfort for You and Your Baby, you have found it. 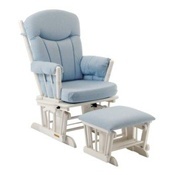 is Designed for both in and out of the Nursery. 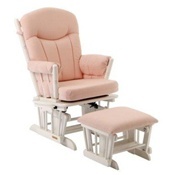 If you are looking for High Comfort for You and Your Baby, you have found it.